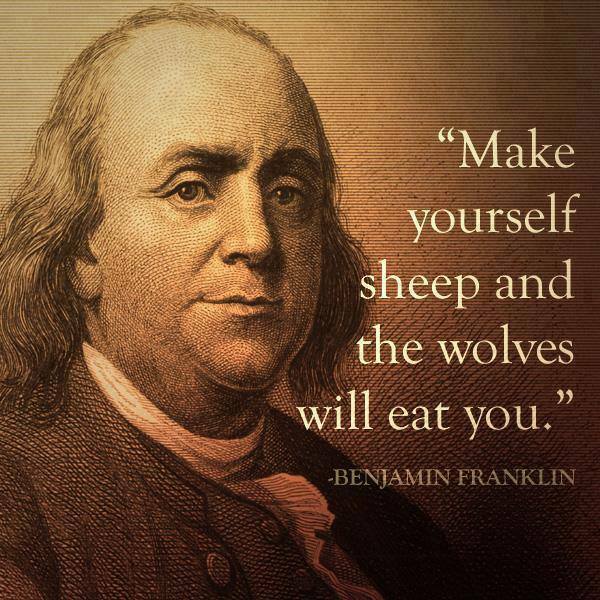 The phrase, “Make yourself a sheep and the wolf will eat you” is from a 1773 letter to Jane Mecom, written by the famous quipster, Benjamin Franklin. In this instance, he is telling others not to allow superiors to do wrong and ignore it. Of course, the advice applies in many scenarios.